We had an event at my job this week and we were told to be in business casual attire. I took it up a notch by making it a business attire. I swapped the jacket that came with the suit with a short sleeved one. I'm joining the #9to5 Total Social link up with Helene in Between this month to share my day job with you. It's amazing how we call it "day" job and not just " job". Many women today are juggling their real jobs with more creative and fulfilling endeavors. Not to talk of motherhood and everything else. So, I work as a project engineer / manager during the day and I blog, sell Avon and a soon to be consulting business in-between and at night. At my day job, I manage multiple testing projects that come through the door. I carry this big bag because I take my business everywhere with me....planner, books, notebooks, Avon brochures, phone, iPad and so on...I'm hoping my side hustle becomes my main hustle soon. What's your 9 to 5 or "day job"? Because I know you do something on the side too. Click here to see a post I did on running a successful side hustle. 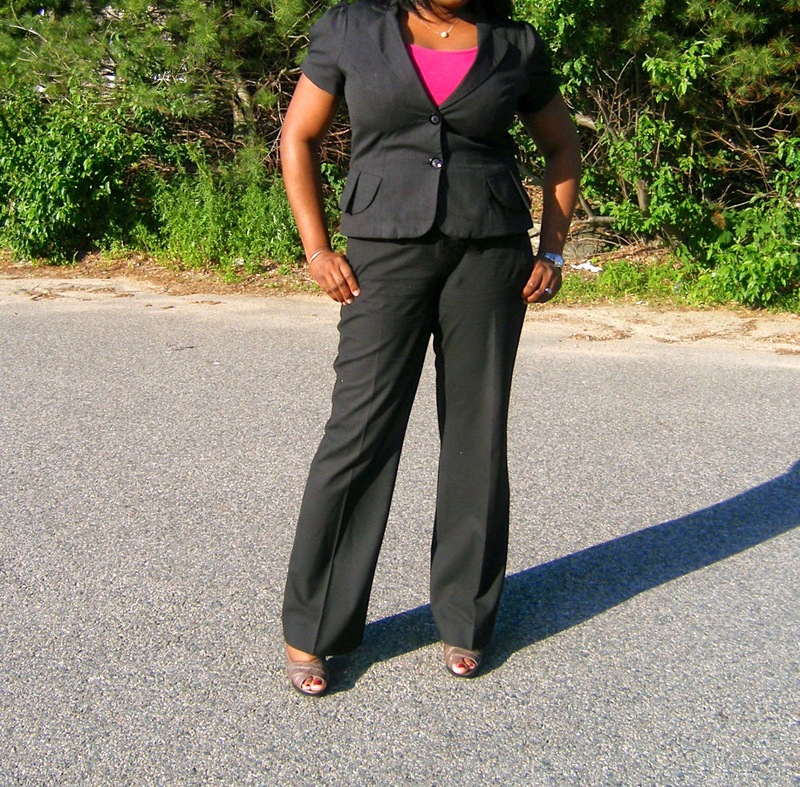 I love black pant suits. They automatically make you look like you know what you're talking about. Classy outfit Kemi, you rock it well. The world is so competitive now, you can't just do 9 - 5 :), not that I am complaining. lol. I love the short sleeved jacket for summer. They are perfect for those days in which I need to dress it up a bit. I'm Product Support Manager by day, a food blogger & webpage designer by night.